The key features that define project success are twofold: managing costs to achieve efficiencies, and creating and enhancing value. These two elements enable project stakeholders to understand the activities and resources required to meet project goals, as well as the expenditures necessary to complete the project to the satisfaction of the customer. In a study of 300 large companies, consulting firm Peat Marwick found that 65 percent of hardware and/or software development projects were significantly behind schedule, were over budget, or failed to deliver value in terms of expected performance. In a report on the current state of IT project implementation, the Standish Group predicted that out of a total of 300,000 projects that cost over $350 billion, approximately 43 percent will overshoot their initial cost estimates, while 63 percent will fall behind schedule and perform at only two-thirds of their expected capability.4 In other words, these projects will meet neither their cost nor their value objectives. Why do these problems persist, despite the fact that tools for cost efficiency and value enhancement are widely used, and their benefits are well understood? One key answer is the lack of an integrated cost and value management framework. Before we explore this integration of cost and value, a brief discussion of their concepts in relation to projects is worthwhile. Both require well-defined and structured management processes, commonly referred to as cost and value management. 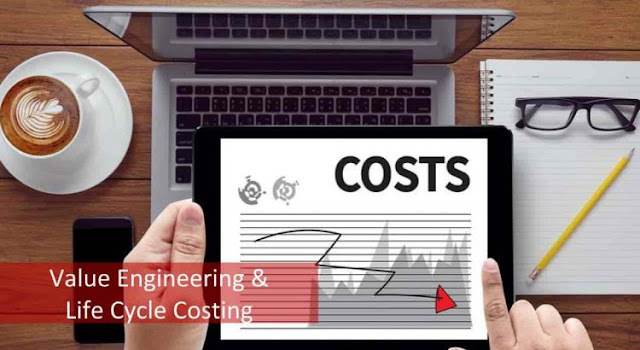 Project cost management focuses on issues such as cost estimation and budgeting, cash flow management, and cost control. On the other hand, the emphasis of value management is on optimizing project value—given cost, time, and resource constraints—while meeting performance requirements such as functionality and quality. Cost and value management remains a critical but often underrepresented issue for a couple of reasons. First, in this article, we define value as the relationship between meeting or exceeding the expectations of project stakeholders, as well as the resources expended to meet or exceed those expectations. This definition clearly implies that project cost and value are inextricably linked, to the point where any attempt to enhance project value without a thorough understanding of its impact on cost and associated trade-offs is meaningless. Second, project value is a multidimensional concept. Different project stakeholders with different vested interests have different perceptions about what constitutes value to them. For example, the expectations of top management often leave IT project teams scrambling to complete projects as quickly as possible. Internal customers, however, may request additional features that will delay completion. Each stakeholder sees value in the finished project; however, the measures they use to determine value can actually conflict. And yet, despite these differences, the one constant in any attempt to enhance project value is its cost ramifications. The following case example illustrates this point. Case Study: Boston’s Central Artery/Tunnel Project The Central Artery highway in Boston was first opened in 1959 with considerable fanfare. Hailed as a technical marvel and model of proactive urban planning, the elevated six-lane highway was designed through the middle of the city and was intended to handle a traffic volume of 75,000 vehicles a day. However, by the early 1980s, the highway was overburdened by a daily volume of over 200,000 vehicles. Consequently, the city of Boston experienced some of the worst traffic congestion in the country, with bumper-to-bumper traffic that lasted for over 10 hours every day. The traffic woes of the Central Artery highway were further exasperated by an accident rate that was over four times the national average. Clearly, the Central Artery had not only become inadequate to handle the city of Boston’s growing traffic volume, but had also become one of the most dangerous stretches of highway in the country. To alleviate the problem, the City of Boston, under the supervision of the Massachusetts Turnpike Authority and with the help of Federal and State funding, came up with the Central Artery/Tunnel (CA/T) project, more commonly referred to in the Boston area as the ‘‘Big Dig.’’ The two main features of the CA/T project are (1) an eight- to ten-lane underground expressway replacing the old elevated roadway, with a 14-lane, two-bridge crossing of the Charles River; and (2) extension of I-90 by building a tunnel that runs beneath South Boston and the harbor to Logan Airport. The CA/T project that began in the city in the early 1980s has been a work in progress for nearly 20 years. From the outset, the CA/T project faced enormous technical and logistic challenges. First, the project involved construction of eight miles of highway with a total of 161 lane miles, with almost half them to be constructed underground. The project at its peak required 5,000 workers, excavation of 16 million cubic yards of soil, and 3.8 million cubic yards of concrete. Second, all of these construction activities had to be performed without disrupting existing traffic patterns, the current highway system, and its traffic flows. The project began in 1983 with an original completion date of 1998 and a budget of $2.5 billion. However, neither the original budget nor the completion date has been met, and both have been revised upward frequently. For example, the original budget of $2.5 billion was adjusted to $6.44 billion in 1992, and $14.63 billion in 2003. Because of the soaring cost projections and schedule overruns, the CA/T project has been source of considerable controversy. The situation was so bad that in 2000 a Federal audit of the project declared the Big Dig officially bankrupt. One of the audit’s significant conclusions was that the out-of-control costs were due primarily to management’s failure to hold contractors accountable for bids or mistakes. In fact, the public dissatisfaction over the delays and rising costs was so intense that the project manager of CA/T project had to resign. After more than 14 years of construction, the CA/T project was officially declared completed in the spring of 2006, in spite of the fact that some finishing work still remained. All of the tunnels and bridges and their connections and ramps to surface roads were opened to the public.